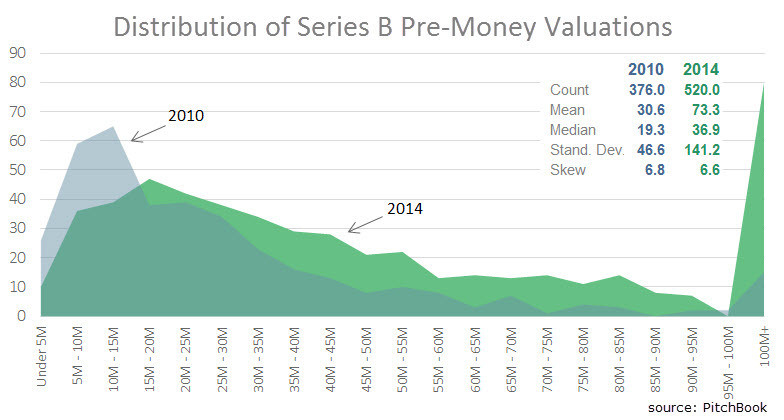 In our 1H 2015 U.S. VC Valuations and Trends Report, we primarily explore the increase in U.S. venture-backed company valuations by using median values. 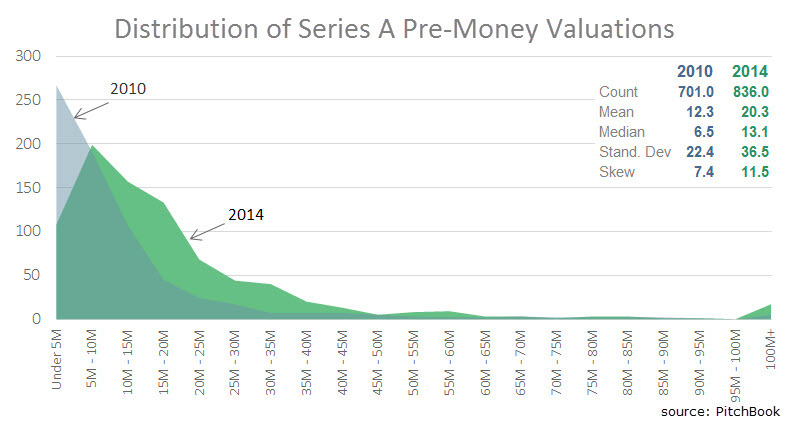 We wondered though what the distribution of valuations looks like and what stories this view might hold. So we ran the analysis. What we found, while not exactly surprising, was extremely interesting. We have a few ideas about what the data is saying but decided to expand this section of the report to our blog in order to allow for people to leave their own comments, thoughts and requests for follow-up analysis. 1. Valuations have inflated over the last few years, not just at the median but across the entire distribution of valuations. 2. The A is the new B, and the B is the new C (not a new finding but just more data supporting it). 3. The ‘winners’ are now clearly emerging after the A round and being rewarded with rich valuations in the B round (tweet this). 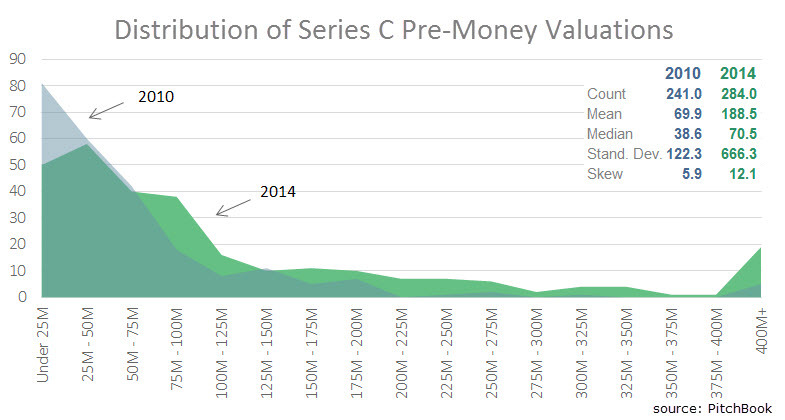 The stratification of lead, middle and bottom pack company valuations is further reinforced in the C round. Note: this analysis is of A, B and C rounds raised by U.S.-headquartered companies of all industry types. Need a better understanding of company and market valuations? Request access to the PitchBook Platform – the only data source with the accurate information you need (see: 20,000+ venture round valuations) and a powerhouse of analysis and workflow tools to leverage it.